The Amaya stock price surged long before it was publicly known the Canadian gaming company was buying the Rational Group and PokerStars for $4.9 billion. In addition to the Province of Quebec launching an investigation into the stock price rise, it was revealed this week that the Financial Industry Regulatory Authority (FINRA) began its own review regarding the suspicious increase in valuation last December. FINRA is a private, non-government corporation authorized by the United States Congress to regulate, enforce, and arbitrate operations of brokerage firms and stock market exchanges. According to its website, FINRA believes every investor has the right to fair financial markets, basic protections, and complete disclosure before buying stock. In May of 2014, Amaya’s stock price on the Toronto Stock Exchange (TSE:AYA) was hovering between $7 and $9 CAD ($5.60 and $7.21 USD). Although the company wouldn’t announce it’s takeover of Rational until June 12th, the stock price inexplicably climbed to $12.05 ($9.65) by June 11th, an increase of 42 percent in just one month. Of course, speculation had surfaced regarding the possibility of Amaya’s purchase long before corporate leaders acknowledged the news. However, Autorité des marchés financiers (AMF), the securities regulatory authority in the Province of Quebec, and FINRA, believe there’s more to the story than simply good luck. 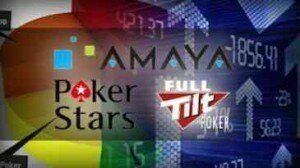 Both investigations are honing in on brokerage firms, hedge funds, and financial advisors who made substantial investments in Amaya before the PokerStars announcement. It’s thought that approximately 300 investors made substantial profits by putting large stacks of cash in Amaya, only to later cash out at a huge profit once the Rational deal went public. Investigators might struggle to prove any insider trading as the company posted strong first-quarter earnings in 2014. That likely enticed many investors to include Amaya in their portfolios. Speculation only made AYA an even more attractive stock, as it was widely reported that the gaming company was actively seeking a PokerStars takeover. When AMF raided Amaya’s Montreal headquarters in December, company spokesperson Eric Hollreiser said the securities regulatory authority had its full cooperation. However, it apparently isn’t being so cordial with FINRA. In a statement Amaya says it is unaware of any investigation by a US company. 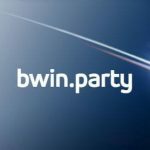 “The only investigation we are aware of is by the AMF into trading activities in Amaya securities surrounding the PokerStars acquisition,” the statement read. When news broke the AMF was actively looking into Amaya’s stock transactions, its price plummeted more than 20 percent. However, it is currently holding steady at around $31 CAD ($24.83) at time of publishing. just another poker scandal that tarnishes the industry’s rep !